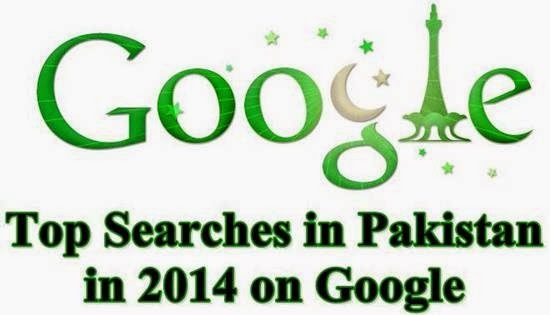 Google has released top search trends in year 2014 which also include top trends globally and for individual countries, including Pakistan. There are trillion of searches on Google each year which makes top search trends. There are several top chart categories for year 2014. Globally Robin Williams topped in "Searches", Robin Williams also topped in "Loss" (he died on August 11, 2014), Jennifer Lawrence in "People", James Rodriguez in "Athletes", iPhone 6 in "Consumer Electronics", Ebola in "Global News", World Cup-2014 in "Google Doodles of 2014", Brazil vs Germany in "World Cup Matches" and Mutant Giant Spider Dog in "YouTube Videos". If you want to know more about Top Search Trends in 2014, visit this link.